Sparkle is rated 4.3 out of 5 by 26. Rated 5 out of 5 by keetacat from Disappointed I love this game and have played it for many years now. I am so disappointed that I can't download it onto Windows 10. Can this game be updated to enable on Windows 10? It would be really great if it could be. I miss it. I wish I had never got windows10. So many things I can't do anymore. This is a fabulous game. 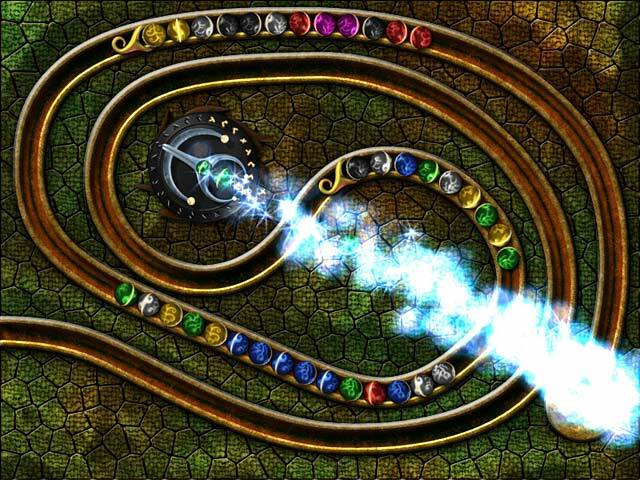 Rated 5 out of 5 by melissa845 from Sparkle Deserves a Higher Rating This was one of my first marble popper games and I really enjoyed it because it was not too fast and furious but has a lot of power-ups that make it interesting. It is also beautiful and has options for people who are mildly color blind. Rated 5 out of 5 by kim0530 from Demo Only - Fantastic Game. I tried this because of Sparkle 2 that just came out. I didn't realized how fantastic this game is. I love Luxor and this is up my alley. But is a lot better then Zuma. The storyline is great and the graphics and the music is fantastic. What I like about this game the higher level becomes more and more a challenge. Along with Sparkle 2, this also is a keeper. Rated 5 out of 5 by Velvet_Wood from Overall, one of the greatest marble poppers ever made. My feelings about this game can be summed up in one sentence: I didn't realize that there was no score until I was on the next to last level. 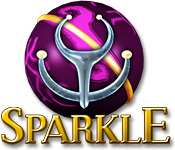 That said, if you haven't played Sparkle, you should. Beautiful graphics, decent music (though I always play with music off in games, as it distracts me) little secrets hidden throughout the game that are actually a challenge to find, and very nearly infinite replayability, as it has three difficulty levels, and a set of mastery challenges that are actually fun _and_ provide an in-game reward. Be warned, though -- the expert and master difficulties are _very_ challenging, and it may take you several tries to succeed at expert and many, many tries for master. However, when you do succeed, there's a real feeling of accomplishment. I love games by Myth People, their games are always unique, imaginative, and a good, worthwhile challenge. Rated 5 out of 5 by yolesso from One you can keep replaying At first, this seems like an extremely simple marble popper. However, I bought it after the trial and I have probably logged more than 40 hours on it easily, and still haven't completed every challenge. Yes, sometimes it cheats, and it's frozen up on my 60th try at beating one of my times in Challenge Mode. But it keeps drawing me back. I am still working my way through at Master Level. This is a deceptively challenging little game, but well worth the money (especially if you can get it on special, like I did). Rated 5 out of 5 by Wanom1 from Awesome game The soundtrack isn't the greatest but the graphics are dynamite. The story line is a little thin but the game itself is absolutely fantastic. Yes, it becomes extremely challenging, especially in Survival mode, but this game is positively addictive. Different amulets change the behavior of the game and you can switch from one amulet to another as you accumulate them. If you like a good challenge, this is the game for you! Rated 5 out of 5 by GrrlScientist from insanely fun and addictive! 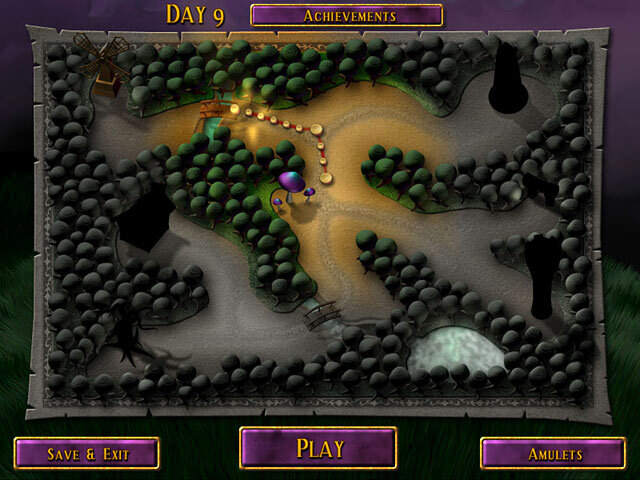 the game takes place in Crowberry Woods which has been blanketed with a mysterious blackness. your job is to prevent colourful orbs from moving along their track and being sucked into black holes. you have an "orb slinger" that shatters the orbs when you match the color of the orb you're slinging to those it lands next to. winning a level is rewarded with an amulet of power and extra life that help you along the way. storyline: honestly, i have no idea how popping marbles has anything to do with anything, especially crowberry woods, but the game is such addictive fun that i don't much care. 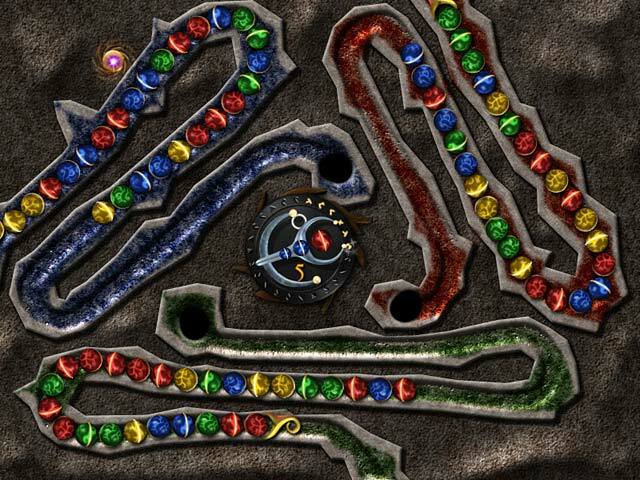 graphics: quite simple, really, but the orbs move very smoothly and quickly with no stutters or pauses. music: bold, loud, enthusiastic and fun, the music is the perfect fit for this game! my interaction: one hour demo, but i knew within the first few minutes i was going to purchase it. even though i've got entirely too many video games already. i have never played a marble popping game before but if all marble poppers are this much fun, i am certain i'll be playing more! this game is insanely and addictively fun to play! and it's totally silly! three thumbs up! Rated 5 out of 5 by nwind from The Best of the Best No question, this baby is a toughie! Some of the segments required many, many tries to master or even to just get lucky on, but to me it is the epitome of a first rate marble popper. If you are person who just gets frustrated and quits when the going gets tough, this is not the game for you, but if you can walk away for a while then come back more determined than ever, Sparkle will entertain you forever. Contrary to some reviews, Sparkle can be beaten. I am an intermediate player and made it all the way through, albiet with some coaching from the good people in the Big Fish Forums, so I know an intermediate player can do it. It is challenging, it can be downright tough, but that is what makes it fun. Not for the faint of heart, this one is the best of the marble poppers. If I have a complaint, it's that it has caused me to be disappointed in the others.